Another way to create a course is for a system administrator to re-run an existing course. For more information, see Re-running a Course. Before you create a course, consider the identifying information that you will provide for it carefully. For Course Name, you enter the title of your course. For example, the name might be “Sets, Maps, and Symmetry Groups”. Use title capitalization for the course title, and normal spacing and punctuation. The value that you enter for the run does not affect the course start date that you define for the course. For more information, see Setting Start and End Dates. 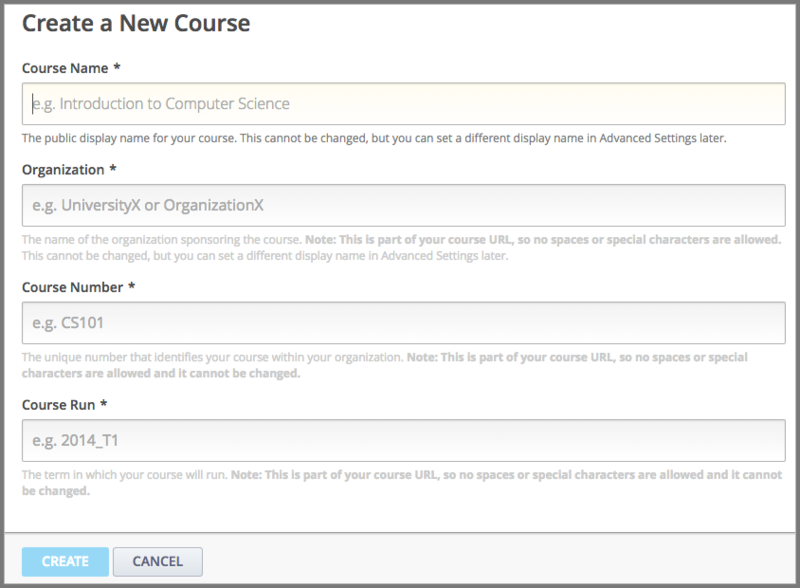 Enter the identifying course information, and then select Create.